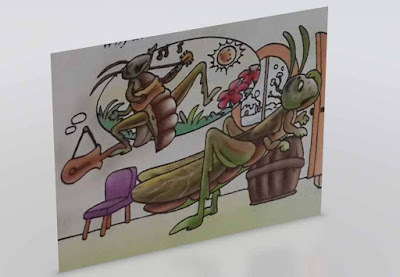 The fable starts with a cricket who is in search of food and warmth in winter because he spent all of his time singing instead of collecting food during summer. He then sets off to see a miserly ant in hope that he would provide him with grain and shelter but the ant questions why and after knowing that he sang all summer, he hastily makes the cricket go away. So the fable 'The Ant and the Cricket' tells us that if we live without work and have a lazy life, we will live without food.